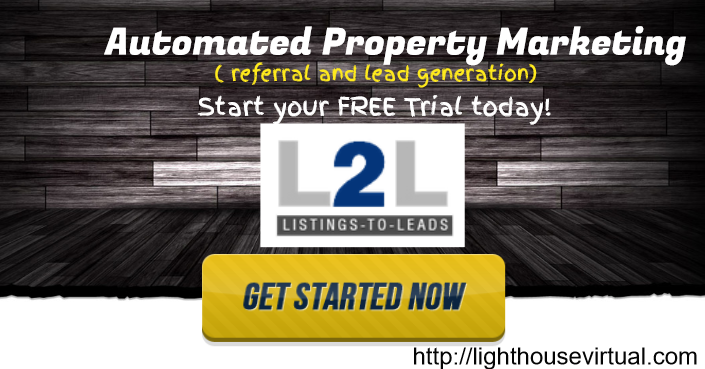 Every Tool Generates Leads & Referrals While Marketing Your Listings! Unlimited customizable seller lead generation landing pages for Facebook, Google, Craigs List, Website Blogs, Post Cards and more! Once you sign up if you decide that you would like a Real Estate Virtual Assistant that is been using this program for a few years now and stays current on all of the changes that they make to continually make the program that much more Fantastic of a Automated Property Marketing, Referral/Seller/Buyer Lead Generation tool. It does so much also now in where you can create landing pages for trying to get more Seller or Buyer leads say in even a certain area and or neighborhood and then after creating that landing page which not only you have content on but you can also put video on. So want to know more about how my clients are using this useful tool? I will be happy to speak to you on what your Real Estate Marketing needs are and how I can HELP you with this Fantastic Lead Generation program. Contact me via my contact page today to schedule a date & time to chat! Sandra has been a Real Estate Virtual Assistant since 2006 and holds certifications from NAR Real Estate Virtual Professional Assistant, Real Estate Webographer, Social Media Marketing Specialist.